Smoking has been banned from most public places, from restaurants to airplanes. The health hazard posed to others, especially children, has made cigarettes public enemy number one. Soon, that status will extend to a new frontier. Starting October 1, it will be illegal for drivers in the United Kingdom to smoke in their car with a child present. You may not know it, but it’s already illegal in some states on this side of the pond as well. The negative health effects of smoking are well known by now. It’s taught to children at school, seen on TV ads and even printed on the sides of cigarette packages themselves. However, not smoking yourself sometimes isn’t enough to protect you from the ill effects of tobacco. Roughly 126 million non-smokers are exposed to secondhand smoke. It’s what former Surgeon General Richard Carmona calls “involuntary smoking” and it can put people in serious danger. There’s no safe level of exposure to even secondhand tobacco smoke. Understanding this, the ability to smoke in public has been rolled back at the state level across the nation, with most states employing some kind of restriction. Even with all of our knowledge of the danger of cigarettes, it still wasn’t until 1995 that California became the first state to impose a ban on smoking in public. Federal law to make smoking illegal on airplanes wasn’t passed until 2000, though airlines had enacted some bans on their own starting in the late 1980s. 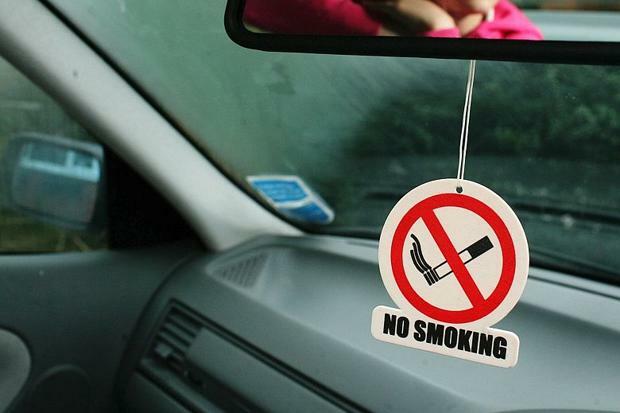 However, a ban on smoking in private places such as cars remains relatively uncharted territory. These bans are only now being explored, not to negate the rights of private citizens, but to protect the rights of children. According to the U.K. Department of Health, every time a child breathes in secondhand smoke, they breathe inthousands of chemicals. This puts them at risk of serious conditions including meningitis, cancer, bronchitis, and pneumonia. It can also make asthma worse. The new ban will apply to drivers and passengers in any vehicle with children present, excluding convertibles with the top all the way down. E-cigarettes are another exception to this rule, but otherwise, all those smoking and the driver, whether they’re the offender or not, will be subject to a fine.